And the ‘winner’ in Chilanga is? These are the results that will be announced by ECZ as final results. The PF is already celebrating. 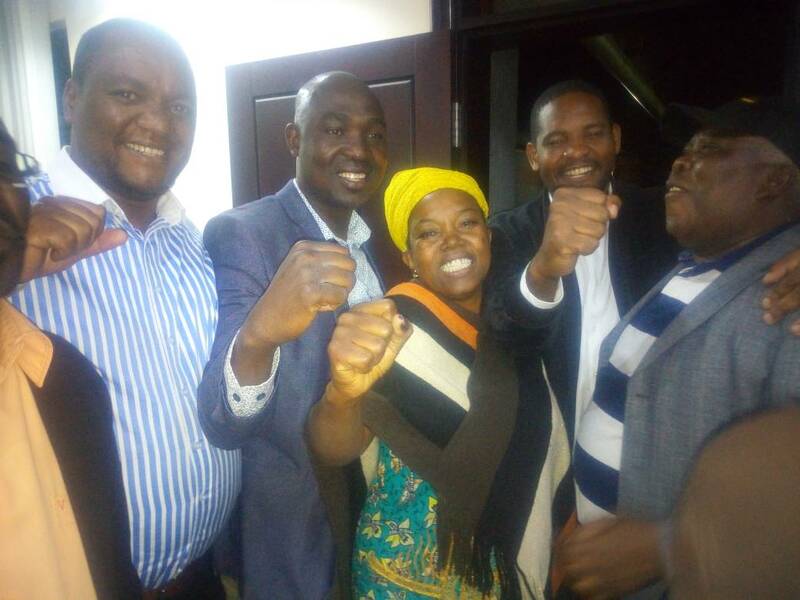 Below, PF Campaign Manager Japhen Mwakalombe and Miles Sampa with their candidate Maria Langa and State House Minister, Freedom Sikazwe celebrating.